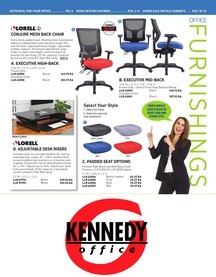 Since 1960 Kennedy Office Supply has been delivering a superior selection of brand name office supplies to the greater Raleigh area and beyond. We deliver a breadth of top of the line office supplies ready to meet any and all of your office supply challenges. We carry a tremendous array of products from everyday basics like pens, post-its, and paperclips to top of the line InkJoy pens, filing and organizational solutions. The team at Kennedy Office is prepared to help meet and exceed all of your daily and advanced office supply demands. 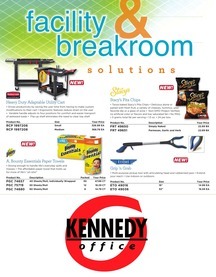 Contact your local office supply experts at Kennedy Office today. Call (800) 733-9401 or email us at custserv@kennedyoffice.com.